Verizon has partnered with Harris-Stowe State University to provide the STEM (science, technology, engineering, and math) program, Verizon Innovative Learning Program for Minority Males. This opportunity provides middle-schoolers from the St. Louis City and County School Districts access to high-level technology - including virtual reality, coding, robotics and 3D design, and entrepreneurship. The program includes hands-on, interactive instruction and exposure to STEM-related careers. During the summer, students attend a three-week STEM boot camp at Harris-Stowe State University’s campus. Throughout the academic year, these scholars attend a monthly Saturday academy. 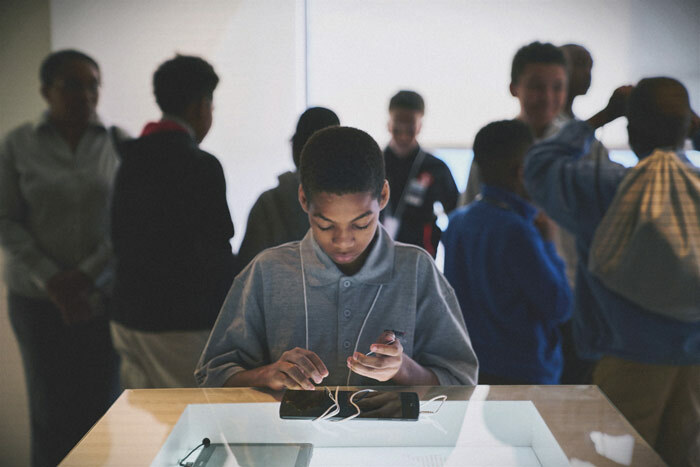 Launched in 2015, the Verizon Innovative Learning program works with Historically Black Colleges and Universities and Hispanic Serving Institutions to prepare minority male students in middle school for the tech careers of the future. Students participating in the program are invited to participating university and college campuses for summer courses that provide entrepreneurship training, hands-on learning experiences in next-gen technologies like robotics, augmented reality, and 3D printing, and access to college-aged mentors. Following the summer courses, students are invited back to the universities, monthly, for continued STEM education courses and mentoring. Results from the 2016-2017 school year show that 91 percent of student participants demonstrated and increased ability in science and 90 percent had an increased ability in math. Over 1,400 have participated in the Verizon Innovative Learning program to date. 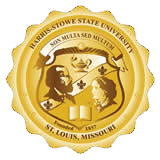 Harris-Stowe State University is one of 24 HBCUs and HSIs nationwide in this important initiative. This free STEM program takes place year round, right on campus. For more information or to sign your child up, please contact the program coordinator at wrightk@hssu.edu or 314-340-5053. "Since 2016, when Harris-Stowe first partnered with Verizon, this program has allowed more than 250 youths to have hands-on experience with innovative technology. It is our goal to equip the young men in this program with the necessary skills, knowledge, and confidence needed to be successful in this increasingly technology dependent world.” –Keri Wright, Program Coordinator. Verizon Innovative Learning gives free technology, free access and innovative curricula to under-resourced students impacted by the digital divide to help them realize a brighter future. To date, Verizon has invested $200 million in this initiative and has reached more than one million students. Learn more at www.VerizonInnovativeLearning.com . Verizon Innovative Learning, the education initiative of the Verizon Foundation, brings technology and hands-on learning opportunities to middle and high school students in underserved schools and communities. We not only fund the programs, but we also create and administer them in partnership with leading nonprofits. We diligently measure the impact of our work and refine our programs to ensure we’re making a difference. We’ve reached more than 1 million students so far – and we’re just getting started. For more information about Verizon’s philanthropic work, visit www.verizon.com/about/responsibility; or for regular updates, visit Facebook (www.facebook.com/verizonfoundation) and Twitter (https://twitter.com/VZFoundation).